Gaming Laptops are something that no company has mastered yet; every gaming laptop that exists has that one shortcoming. 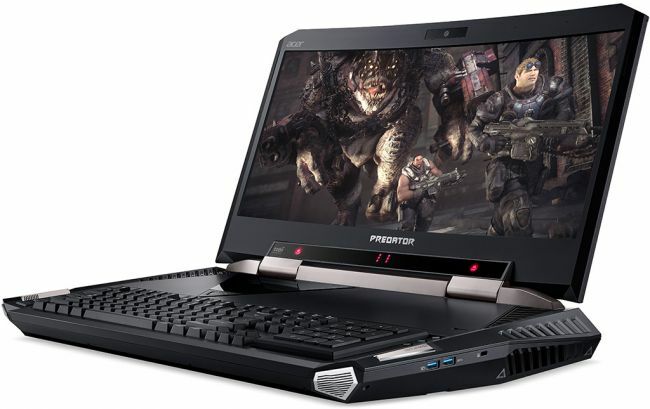 Here’s Acer though, with their new Predator 21 X; a monster of a gaming laptop that comes with a price tag of $8,999. There’s a reason why we are calling this thing monstrous. First of all, Acer has totally gone off the road when it comes to designing a laptop, let alone a gaming one. This machine comes with a 21-inch curved IPS display with a resolution of 2560×1080 pixels. The laptop was first showcased at the IFA in August of 2016, but we know more about this, now that CES 2017 is here. The laptop will be on sale starting February of 2017, and you can pick one up for $8,999 – we mention the price again, just for good measure. Yeah, it might be repetitive, but it’s simply too insane. Let’s talk about how this thing looks. Of course, it looks a bit rough with the black and silver protruding edges. It also has a blue dragon above the keyboard which adds to the look. 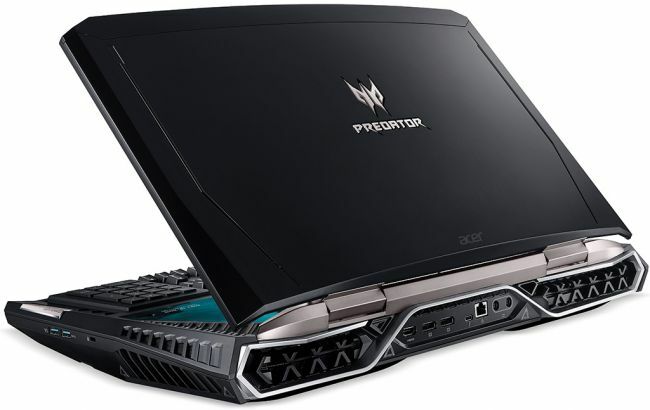 But looks are the last thing that you should be buying the Acer Predator 21 X for. This rough looking device is packing some serious heat under the hood. It has dual GeForce GTX 1080 graphic cards, with NVidia’s SLI. You also get a 7th generation Intel Core i7 processor and four DDR4 RAM slots where you can have up to 64GB RAM. You can also place up to four 512GB SSDs, and you can also have NVMe PCIe SSDs which means you will have some seriously fast storage on here. All these specifications have their effect on the weight of the laptop. The laptop weighs around 17.6 pounds which is, again, quite insane. Acer has also added a lot of add-ons to make this a unique gaming laptop; there’s Tobii eye-tracking, a mechanical keyboard, four speakers, two subwoofers, five cooling fans and a numeric pad that can flip over to convert itself into a touchpad. But, all these specs: do they really look like they’re worth $8,999? Acer seems to think so; each laptop will be made to order, with the first 300 customers getting a limited edition model with the number stamped on it. At this point, it’s unfair to call this monstrosity a laptop; it’s more of a transportable computer – it’s certainly not portable. If you can deal with that, and have $8,999 to spare – why not make the plunge?